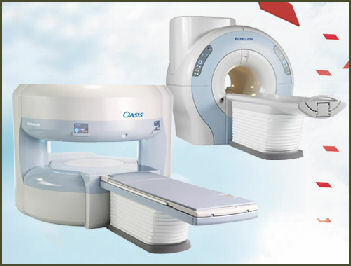 Hitachi MRI Japan has developed very sophisticated robots and equipment used in medicine. 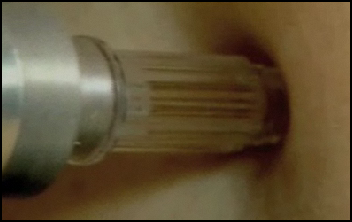 The Nagano-based RF Co. produces a capsule-endoscope---with a camera that rotates 360 degrees---that is swallowed and powered by a special vest worn by the patient. Selling for less than $1,000, the devise takes pictures from all angles as it passes through the digestive system and is retrieved after it is excreted from the body. Okano Kogyo, a precision metal company in Sumida Ward Tokyo with only five employees, manufactures hypodermic needles that are so thin (0.2-millimeters thick) they can barely be felt when they pierce the skin. Produced on sheets of metal that look like film for the medical appliance maker Teremo Corp , the needles are made for diabetes patients so they don’t suffer pain from repeated insulin shots. Okano Kogyo has also developed thin skins for cell phone batteries made from a single piece of sheet metal that enable the phones to use lithium-ion batteries, giving the phones more battery power in a small size. Mani Inc., a medical supply company with 292 employees based in Utsonomiya, has more than a 30 percent market share in two specialized medical products: dental remaes---a kind of dental drill---and ophthalmological knives used to cut the cornea in cataract eye surgery. Founded in 1959, the business had sales of ¥8.7 billion and a profit of ¥3.4 billion in 2008. Japanese medical researchers have been able to reduce the pain of an injection by using hypodermic needles edged with tiny serrations, like those on a mosquito’s proboscis, minimizing nerve stimulation. Medical students at Gifu University study inside a virtual hospital performing physical examinations of artificial patients using computer graphics, robots and images of the human body, including internal organs, projected on a 3-D human model. Students can move the model around and ask it questions as if it were a real patient. The robot answers with an artificial voice. An effort has been made to have automated external defibrillators (AEDs) available at sporting events, in offices and on planes. In May 2007, a 16-year-old boy was hit so hard in the chest by a baseball during a game his heart stopped. An AED just happened to be on hand and was credited with helping to restart the boy’s heart. Automated external defibrillators got some more additional good press when one was put to use on a famous comedian running the Tokyo marathon. The comedian, Kunihiro Matsumura, collapsed at the 15 kilometer mark and his heart and breathing stopped. A first aid worker on bicycle with an AED came to his assistance and was able to get Matsumura’s heart going again. AEDs sell for between $3,000 and $4,000 in Japan. As of 2009, 90,000 of them has been installed in schools, airports and bus and train stations. Having them nearby is credited with saving lives as a person survival rate decreases by 10 percent every minute that passes following cardiac arrest. Needle-free injection Doctors at Osaka University have succeeded in restoring eyesight to blind patients by transplanting corneas created by cultivating cells from the patients' oral mucous membranes, which contain stem cells that can be used to create certain tissues in the cornea. In January 2007, a team of researchers with the National Cancer Center Research Institute and the International Medical Center of Japan announced that they had created a liver cell from a fat cell. The development holds promise for treating liver diseases such as hepatitis and cirrhosis and could be used to create cell for other organs from fat. A team at Waseda University lead by biochemist Eishun Tsuchida has developed completely synthetic blood. The only problem at this juncture is that the blood costs about $100,000 a liter to make. The secret is synthesizing the protein albumin using yeast as the basic material and as an alternative to hemoglobin. It is hoped that synthetic blood can one day replace real blood and has the advantage in that it can be used by people of all blood types. The Waseda team is currently working on developing methods to reduce the price of production. Japanese doctors use weak ultrasonic waves to hasten the healing of broken bones. The process shortens the recover period of broken femurs and wrist by about 40 percent and is sometimes uses instead of surgery. It is still not clear why recovery is so rapid. The frequency used is the same as that used in ultrasound test of fetuses. The Japanese have developed custom-made bones that can be instantly made from calcium phosphate---the substance of which real bones are made---and put on the place of damaged bones after an accident. The technology is current in the clinical trials stage. Doctors usually mend damaged bones with transplanted bones or ceramic substitutes. A lot of time and money is going to research and development fo surgical robots, Already small robots with arms less than a centimeter long are being inserted into the body to treat diseased areas or help with procedures such as bypass surgery. One robot with staples and clamps is placed into the body and operated through remote control using a video image taken by the robot. A humanoid robot named Sat-chan has been working at the city hospital in Hagi, Yamaguchi prefecture since January 2001. It does things like carry X-ray films for disabled patients but can only speak three phrases. Hospital personnel credit the machine with creating a harmonious atmosphere at the hospital. Researchers at Osaka University Hospital and the University of Tokyo are developing technology that enables disabled people to control robots and motorized wheelchairs and other machines through brain waves. The technology---known as brain-machine interface (BMI) technology---consists of electrode sheets attached to a motor area of the brain. Brain waves picked by the electrodes are run through an analyzer to do things like: 1) help a disabled person use a robot arm; 2) helping a quadriplegic move a wheelchair; and 3) write and express thoughts using a computer. The researchers, led of Prof. Toshiki Yoshimine and Masayuki Hirata at the University of Osaka Hospital, began clinical trials of the technology in 2012. Japanese scientists have made a number of breakthroughs with stem cells. In May 2007, scientists at Kobe University succeeded in mass cultivating of embryonic stem cells and developed them into brain cells. In 2008 researchers at the Institute of Medical Science at Tokyo University announced the creation of mouse pancreases and kidneys from embryonic stem cells. Shinya Yamanaka of Kyoto University made one of the most important stem cell breakthroughs: giving adult cells many of the same characteristics of embryonic stem cells thus avoiding many of the negative issues that surround stem cells such as harvesting them from aborted fetuses. The new cells, known as induced pluipotent stem (iPS) cells, live a long time while retaining the ability to form all of the different tissues in the body and have the potential of replacing cells, tissues or organs damaged or lost to disease. Yamanaka screened 24 candidate proteins and found four that were able to reprogram adult cells, reverting them to their embryonic state, by imbedding them into the skin cells of a newborn infant. He first used mouse cells and then showed that these factors are also effective in human cells. The mechanism that led to the creation of the iPS cells is still not well understood. A team at Kyoto University, including Yamanaka, plans to create iPS cells from the cells of Japanese patients suffering from incurable diseases, including muscular dystrophy, juvenile diabetes, nerve-degenerating diseases, and watch them mature and ideally discover the point in which the cells change and become diseased. Ian Wilmut---the man who cloned Dolly the sheep’said he is interested in working with Yamanaka on projects using iPS cells. Wilmut is doing his own research with iPS cells. He equated Yamanaka’s discovery of iPS cells withe discovery of the double-helix structure of DNA. “I certainly think Yamanaka will have the Nobel Prize,” he said. Although Japanese researchers pioneering iPS technology Japan is falling behind the United States in finding applications for the technology in treating things like Alzheimer’s disease and spinal chord injuries. Yamanaka announced his discovery with mice iPS cells in December 2005; and with human cells in November 2007. Kyoto University received a patent for the method to create the iPS in September 2008, giving the university exclusive rights to create iPS cells of all type of animals, including humans. The discovery of iPS cells has made the production of embryonic stem cells by placing the nucleus of a human somatic cell into an ova obsolete. In the mid 2000s Yamanaka formed a team researchers at Kyoto University’s Institute for Frontier medical Sciences motivated by Yamanaka’s theory that if special genes were inserted into skin cells iPScells could be created. The researchers often hashed out ideas while sitting around eating meat at a yakuniku restaurant. Certain candidate genes were selected and tried in experiments with genetically-modified mice. Among the most skilled researchers was Kazutoshi Takahashi, then a 31-year-old researcher at Kyoto University. He was known for putting in long hours and quickly and skillfully conducting many experiments. The first iPs cells were created in the summer of 2005 by Takahashi. He told the Daily Yomiuri that when the moment of discovery came he told his professor, Shinya Yamanaka, “We’ve done it!? Yamanaka replied, “No way!” But there in a 10-centimeter petri dish was a cluster of cells in a bowl shape---the first iPS cells. In November 2008, scientist at the RIKEN Center for Developmental Biology said they created brain tissue from iPS cells, a breakthrough that could help produce treatments to treat Alzheimer’s disease. In February 2009, a team at Keio University succeeded in improving damaged spinal chords of mice by transplanting iPS cells into them. In the experiments mice researchers paralyzed the hind legs of the mice by injuring their spinal chords and inserted iPS cells int the spinal chords while the mice’s immune system was repressed. Four weeks later the mice were able to walk using their hind legs. In March 2009, scientists at Tokyo University announced they had created mouse kidneys using iPS cells. The same month scientists, at the University of Edinburgh, including Japanese researcher Keisuke Kaji, said they had created iPS cells with viruses---thus reducing the risk of cancer---using the technique and increased the production efficiency. The technique involves combining four types of virus-inducing genes into one group, sandwiching them with a specific DNA configuration and injecting them into human skin cells with a specific enzyme. In December 2009, Yamanaka’s team at Kyoto University cultivated iPS cells from human skin feeder cells, an advancement that reduces the risk of pathogens infecting the cells. A few months earlier the team increased the reprogramming efficiency of iPS cells by controlling the activity of the p53 (protein 53) gene---a tumor suppresser. A medical team led by Prof. Yoshiki Sawa at Osaka University succeeded in restoring functions to the diseased heart of a patient with severe cardiac arrest using muscle cells taken from the patient’s thighs. The male patient, in his 50s, had been waiting for a heart transplant. It was the first time that a person waiting for an organ transplant was treated using his own cells. The treatment involved removing about 10 grams of muscles tissue from the patient’s thigh. From the muscle tissue the doctors extracted myobalst cells, which are the main building blocks for muscle fibers. The team cultivated the cells and formed them into sheets about four centimeters wide and 0.05 millimeters thick and then wrapped he diseased heart with three layers of myobalst cells. The team spent two months creating the myoblast sheets. They were removed from the patient on March 2007 and attached to heart, mainly around the heart’s left ventricle, in May. After the treatment the pulse rate and quality of blood pumped from the heart all improved. Three months after the treatment the patient was able to leave the hospital on foot without a pacemaker he had before the treatment. A Keio University team led by prof. Keiichi Fukuda developed a method for regenerating heart muscle tissue by creating highly purified heart muscle cells from stem cells and injected them in clusters into the a damaged heart muscle.